Paul and Diana fished with us today and was able to put some fish in the cooler. We had salmon rolling all around us and enjoyed a nice day on the river. They ended up getting some salmon and steelhead out of the Klamath River today. We picked up our fish side-drifting yarn and eggs. The Klamath River Fishing is starting to pick up with fresh chrome showing up daily, we should see steady fishing for 3 months.. The steelhead are stacking up in the Klamath. We have been seeing alot of fish rolling around in the middle section of the river. The Klamath River steelhead season is about to get crazy. This is my favorite time of the year, we have tons of salmon and even more steelhead occupying the waterways. Lady luck was very prevalent this weekend, stay tuned for some off the HOOK fishing to come from the Klamath River. 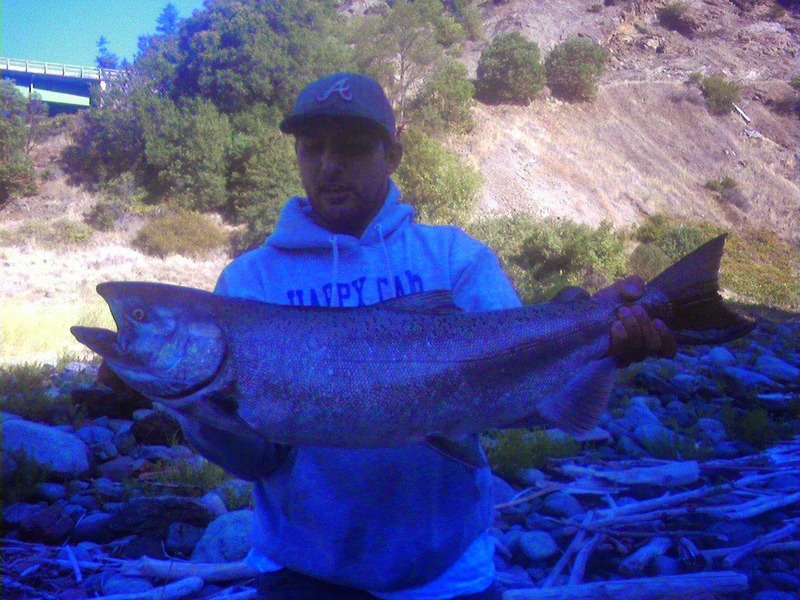 The Klamath River fishing is on fire right now. We are seeing lots of adult and jack salmon in the middle sections of the river. The steelhead are also here and if you have never experienced a salmon steelhead combo trip on the klamath river in the fall you should add it to your bucket list. This is looking like another good start to the famous half pounder season on the Klamath River.